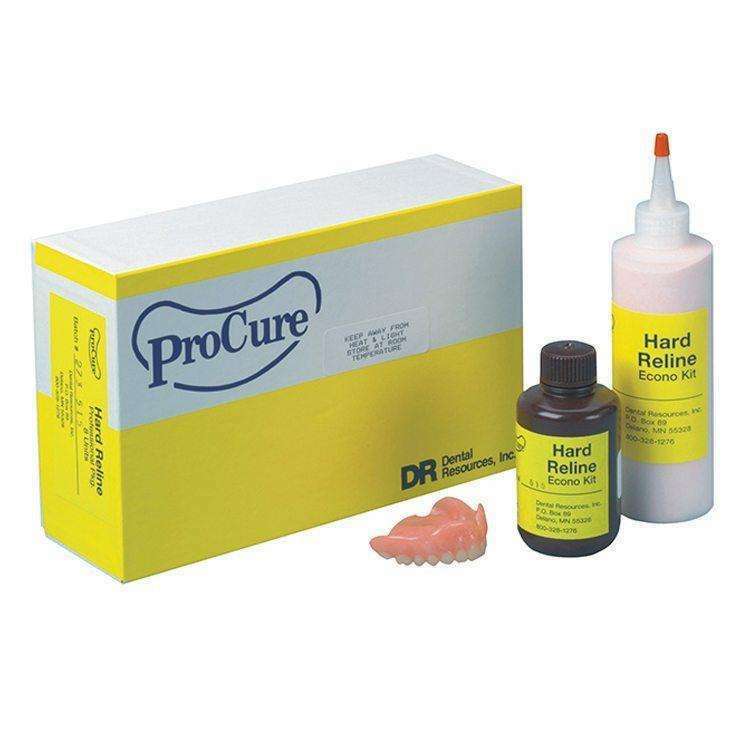 This is an excellent chair side, dual cure, hard reline composite that can be added directly to a prepared denture. Mix material to impression-like consistency, apply to denture, and fit at chair side. No heat processing, no methyl methacrylate, and no heat discomfort to oral tissue. The result gives a permanent reline with no thermally induced expansion or shrinkage. The composite has been formulated to absorb very little water, be impervious to bacterial build-up, and is color stable. ProCure packages the Hard Reline in 8 individual units in the Professional Kit or one Bulk Economy Kit (average 25-30 relines).